More and more Christians are leaving the Middle East. This Exodus is affecting not only Syria and Iraq, but also Lebanon. In the quite recent past this country was the only country of the Middle East with a Christian majority in the population, but now Christians are an ever shrinking minority. Already back in the civil war, from 1975 to 1990, some 700,000 Christians left the country, and the exodus continues today. Christians now represent just 34% of the total population, and indeed among young people under 25, only a quarter. 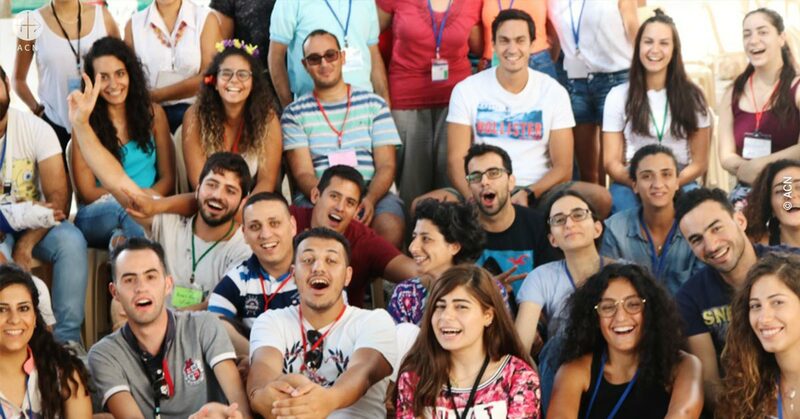 In response to this crisis, in the 40 parishes belonging to the archdiocese of Zaleh, the Melkite Catholic Church is pursuing an intensive youth apostolate. For it is clear that the more firmly young people are rooted in their faith and in the life of the Church, the less likely they are to abandon their homeland. Weekly meetings and larger monthly events are helping these young people to grow in their faith, and every young person joining the groups is given a copy of the Holy Scriptures by the priests in charge. We have promised 25,000 Euros to cover the cost of an additional 5,000 Bibles.